Actually have this weekend and next off from Feising, and then Pittsburgh for the Pittsburgh Halloween Feis and Dayton for the Gem City Feis (yeah, only a 30 minute drive!). 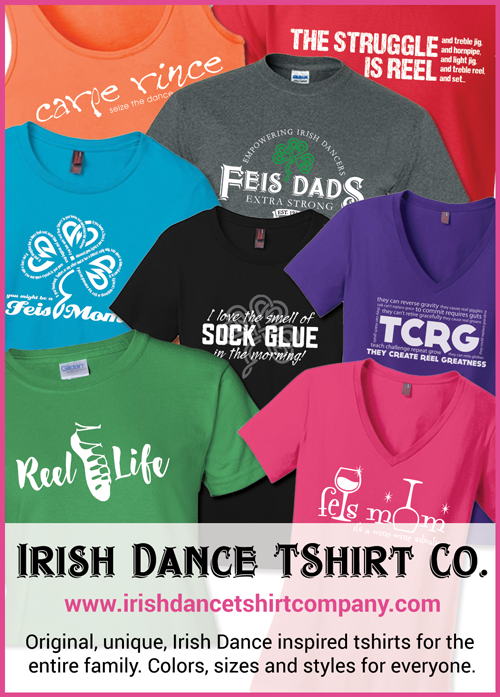 If anyone is dancing before then and wants to add a feis review, please let me know here by leaving a comment, or on Twitter @whatthefeis or on Facebook. I know I only have midwest feis reviews but I will post reviews from anywhere! Enjoy the fall and we will be back soon! If you head up to the Muskegon Feis I have to recommend an eclectic breakfast place we stumbled across called Toast N Jams. Retro styling in side, nice menu, great food and reasonably priced. One of those local gems you really oughta try. Michigan Feis was held on September 15, 2012 at Muskegon Catholic Central High School, Muskegon, MI. Venue – Although spread out a little, the Muskegon Catholic Central High School was a pretty good feis venue. The Rock River Valley Feis was held on September 8th, 2012 at the Wellness and Sports Center, Harper College in Palatine, IL. Venue – I thought the Wellness and Sports Center was a nice venue. Everything was in close proximity to the stages and there was room to move around, more so than some recent feiseses. 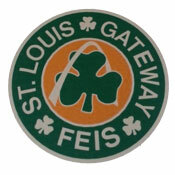 The St Louis Gateway Feis was held on August 26th, 2012 at The Renaissance Hotel, St Louis, MO. Venue – The Renaissance was really nice. A cool bar/coffee/restaurant with fun little niches for private conversations, eclectic setting and furniture, fun chairs with foot stools, nice lobby with ceramic title and cool mirrored surfaces, but, as a feis venue, it sucked. Well, so much for that ‘next big thing’…. After hearing about the ‘one soft shoe, one hard shoe’ performance idea, the Feis Association Regarding Comical Entertainment (FARCE) has banned the idea. In addition to muffled clicks from only one hard shoe, bangs were not happening as often as expected, and when they did, they were scaring the older judges because of there unexpected occurrence. So much for that idea. …and you heard it here first! This just in, a new hair style for competition is about to hit the streets and WTF acquired this previously unreleased photo from one of our sources. 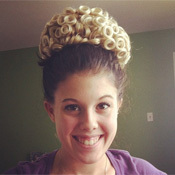 If I were you, I would expect to see mis-matched wig and hair colors as early as this weekend. Sources also tell us that they have seen dancers wearing one hard shoe and one soft shoe to perform, and that will be the next big thing. The Great Lakes Feis was held on August 19th, 2012 at The Lansing Center, Lansing, MI. OK, so now you get to see the softer side of WTF. A haiku describing the changes I have seen in my daughter because of Irish dance. and if for some reason I have broken some haiku structure rule, tough, I’m still going to call it a haiku.